The library can be booked by groups for meetings and other activities at times when it is not open to the public. Please note that our only meeting spaces are the public areas of the children’s and adult libraries. 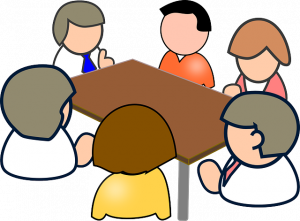 It is sometimes possible to hold separate meetings in each section. There are three bands into which groups using the facilities fall, which determine how much a group should pay for use of the library facilities. This includes groups using our public computer facilities. Includes: MP and councillor surgeries, Community Assembly and police meetings, non-charging pre-school / adult education / theatre groups (if group members have to pay a yearly subscription, this would count as charging), community tea mornings, reading and writing groups and events. Bookings for this group are free of charge. Includes: Private social functions, profit-making ventures, e.g. commercial training courses, slimming sessions, jumble sales and fund-raising activities if private, private sector organisations.